Video has become a huge phenomenon, with more consumers interacting with videos today than ever before. Cisco’s Visual Networking Index, which charts and forecasts the rise of online video, estimates that a million minutes of video content will cross global IP networks each second by 2021. The growth of the popularity of video represents a massive opportunity to reach an audience and drive consumer behavior. If you haven’t leveraged the power of video marketing, here’s what you need to know. Video marketing stands out as a valuable way to approach content, and the proof is in the numbers. Here are ten statistics that demonstrate the value of video. By 2019, video will represent over 80% of all Internet traffic according to a study from Cisco. For the U.S., that rate will be over 85%. Almost one-third of all people on the Internet use YouTube, a free video sharing website. Including video in an email leads to a 200-300% increase in click-through rate, says a new report published by Forrester. Forbes reports that video advertisements account for more than 35% of all ad spending online, and that rate is expected to grow. The National Association of Realtors (NAR) found that 85% of homebuyers and sellers prefer to work with an agent who uses video marketing. This article points out that embedding videos in landing pages can increase conversion rates by 80%. Real estate listings that include a video receive 403% more inquiries than those without, says Forbes. Businesses are publishing 18 new videos every month and will double their video libraries within 16 months, according to this report. 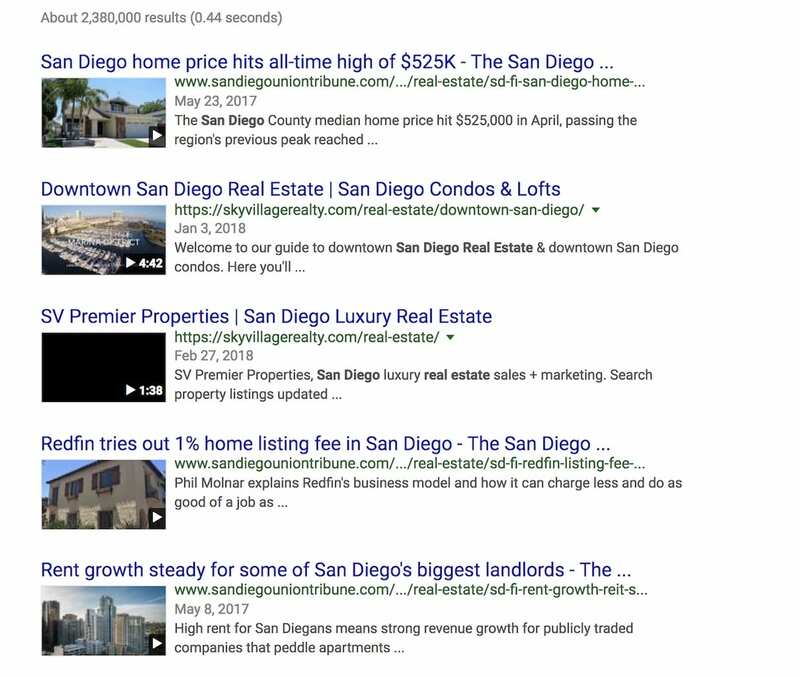 In a study that examines the digital house hunt, the National Association of Realtors says video satisfies multiple research needs for house hunters. The majority of house hunters who use video do so to learn about a community (86%), tour the inside of a home (70%), and obtain general information (54%). Video accomplishes all of the work that traditional marketing does, but it does so more efficiently and effectively. A few minutes of video can convey far more information than hundreds of words of cluttered text. In today’s fast-paced world, time is of the essence when it comes to capturing the attention of your target audience. Furthermore, video can convey information that is difficult or impossible to say with words, such as emotion and personality. Here are five benefits of adding video to your content marketing strategy. Video is one of the best ways to convey a message in today’s fast-moving world. According to a study by a team of neuroscientists at MIT, the human brain can process entire images that the eye sees for as little as 13 milliseconds. This implies that the visual system is well-adept at finding concepts. Video has the added benefit of displaying numerous images in the matter of seconds. This means you can convey your message quickly and effectively. In this video, although created by someone in credit rather than real estate, the explanation of FHA loans is complete and ideal for someone exploring qualifying for a loan. The “explanatory” style videos are great for educating, informing and in creating a call to action and offers for help. People just beginning to consider buying or selling often go to video to learn more about the process and how it might affect them directly. Video is one of the best ways to build brand awareness. And building brand awareness is essential to increasing market share. There is no better way to get to know a company than through video. Videos can help you shape your corporate identity as well as foster a relationship between your brand and your public. Videos are engaging and lend themselves well to sharing across social media. Videos also have the ability to increase conversion rates and generate new leads. All of this is beneficial to cultivating brand awareness. Videos have the added benefit of visual imagery, which increases the likelihood that your target audience will remember you story, brand, and message. Here’s a simple video we created for our Las Vegas real estate agent team with visuals after doing a written blog post. The software is free and allowed us to repurpose our written content into video content! Videos increase the length of time a visitor stays on your page, giving your message more time to sink in. One study found that people spent considerable more time on pages with video than on pages without video—2.6x, on average. The more time a visitor spends on your page, the more time they will have to get to know your brand and learn about your products and services. In this video, Sandy Williams (now with eXp) in Florida explains how to pass an FHA appraisal. Videos also have the ability to increase your website’s click-through rates. The world’s largest search engine, Google, emphasizes content that delivers value. Video is believed to add value to the user experience. The world’s second largest search engine, YouTube, is a platform for sharing video that also happens to be owned by Google. 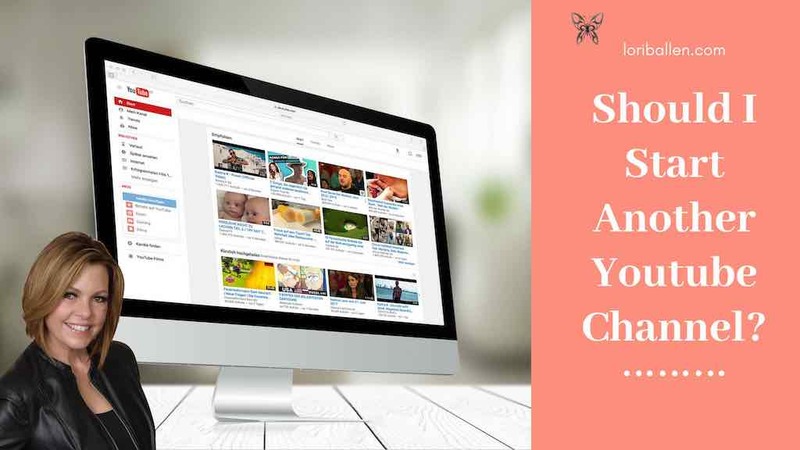 To maximize your search engine ranking with video, create a channel on YouTube for housing your videos. 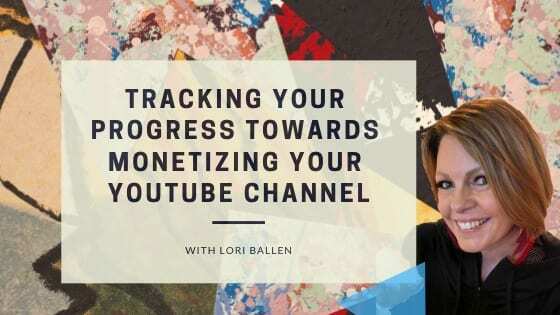 Link to that channel through your website and link to your website through the videos you have posted on YouTube to increase traffic to your website. 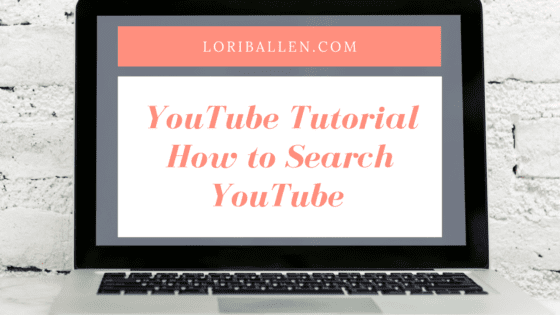 Be sure to leverage keywords or the exact phrases your target audience uses to search for content like yours on YouTube. Digital marketing is an umbrella term for all of your online marketing efforts, from social media to email. There’s no shortage of ways to share video across the web, but some distribution locations are more popular than others. Below are some of the most common and effective distribution locations to consider when incorporating video into your digital marketing strategy. Search engines like Google place an emphasis on high-value content that informs users and encourages users to stay on a website. Video content does an excellent job of encouraging clicks and engaging users. Here’s instruction on how to embed video on your website. By incorporating video marketing into your website, you can boost your website’s search engine visibility and drive more traffic to your website. To benefit from adding video to your website, use targeted keywords when titling and tagging videos. Doing so will improve your search engine ranking. Leverage multiple video sharing sites such as YouTube to link back to your main website to also increase your visibility. Video continues to take a larger and larger share of social media content, with consumers spending an average of six hours per week watching video content on social media networks alone, according to one study. YouTube is by far the dominant social network for video, followed by Facebook. A sizeable portion of social video views also occur on Snapchat, Twitter, and Instagram. Research shows that social video is a very effective way to drive engagement: consumers like videos nearly half the time they watch them, share them one in three times, and comment on them nearly 30 percent of the time. Many companies are expanding their social reach by focusing attention on visual platforms with the goal of being seen by more users. Popular platforms that allow visuals to take center state will give you the best return on your investment in video marketing. Using video turns a static webpage into a dynamic destination. A landing page with video can engage a viewer within seconds and convey your key message in less time than it would take a visitor to read a page of text with the same message. Embedding video in a landing page tends to yield a higher conversion rate than text content or images, but the type of video and placement of the video are key. A landing page video should be short—no more than 60 seconds—to maintain the viewer’s attention, and it needs to tell a compelling story to be effective. Check out the listing landing pages with Listings To Leads. Add video and 360 home tours to your listing landing pages. Adding video content has been shown to increase click-through-rates by 200-300%. Emails containing video stand out from other forms of marketing communication. The main benefit of video email marketing is the novelty in comparison to plain text. Human beings are visual creatures, thus video is better suited to draw the attention of your target audience. There are numerous types of video content, and each type provides a unique opportunity to boost your marketing campaign. But not all types of video are appropriate for every marketing strategy. The type of video content you create depends on various factors, such as the type of products or services you offer. Below is a list of common video production types. Brand video. A brand video is typically distributed as a part of a larger marketing campaign. A brand video showcases a company’s vision, mission, or products and services. The goal of brand videos is to build awareness around your company. Social video. A social video is a short video designed to capture a targeted audience on social networks. Social videos have a tremendous capacity to drive social engagement actions, such as shares, comments, and likes. Those engagements can ultimately generate new leads for your business. What’s more is that social videos offer great rewards for little effort. Live streaming video. Due to the ease of technology, live videos are a great format for giving our viewers a behind-the-scenes look at your company. Live video is projected to grow 15-fold from 2016 to 2021, according to Cisco. Several popular social media platforms have incorporated live streaming, including Facebook and Twitter. You can easily use a live streaming video to reach your target audience. Explainer video. An explainer video is a short, animated video used to introduce a product or service to your target audience quickly. It often begins by presenting a problem or scenario followed by a solution. An explainer video is frequently found on a website’s landing page. Demo video. (Sample) As the name suggests, a demo video showcases the features of a specific product or service to your target audience. A demo video is the nearest equivalent to a hands-on experience with a product or service. Educational video. 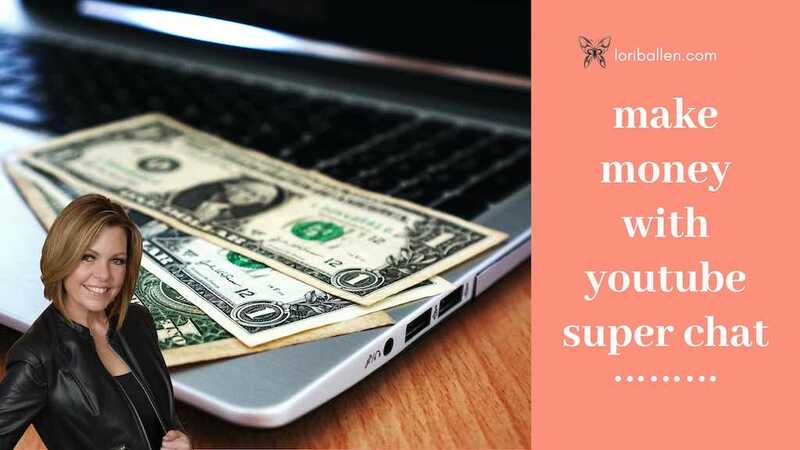 (Sample) An educational videos can be used to teach your target audience something new or contribute to the knowledge they will need to better understand your products and services. An education video also fosters trust with a viewer and can help create a positive image for your brand. Customer testimonial video. (Sample) In a crowded content marketing playing field, authenticity is the key to differentiation, and a customer testimonial video can deliver that authenticity. A customer testimonial video works well to build trust with your target audience and places the potential consumer or client in the customer’s shoes. Expert interview video. (Sample) An expert interview video conducted with a thought leader in your industry is a great way to build trust and authority with your audience. People tend to give greater weight to information that is provided through someone they view as an authority figure. An expert interview video with an authority can cut through the clutter and deliver an unbiased opinion to your target audience. Use this to your benefit by creating an expert interview video for your digital marketing strategy. In today’s digital age, video is one of the most powerful content marketing tools right now. Video can increase your email open rates and click-through rates, or the percentage of people who visit your web page. Video can also improve your search engine rankings, enhancing your brand awareness. Most importantly, video can ultimately boost your conversion rates, or the percentage of users who respond to your call to action. A well-executed video marketing strategy accomplishes this by conveying a strong message, building brand awareness, creating a memorable experience, improving click-through rates, and increasing dwell time, or the time a user spends on your web page. There are several ways to incorporate video into you marketing strategy. The type of video content you create depends on various factors, such as the type of products or services you offer. Some of the most effective video types include brand videos, social videos, live streaming videos, explainer videos, demo videos, educational videos, customer testimonial videos, and expert interview videos. Regardless of which video type you leverage, each one provides a unique opportunity to boost your marketing campaign. Video has become a huge phenomenon, with more consumers interacting with videos today than ever before. Cisco's Visual Networking Index, which charts and forecasts the rise of online video, estimates that a million minutes of video content will cross global IP networks each second by 2021. The growth of the popularity of video represents a massive opportunity to reach an audience and drive consumer behavior. If you haven't leveraged the power of video marketing, here's what you need to know.